The Department of Radiology offers a complete range of imaging services and performs more than 250,000 procedures annually. The department is staffed by 23 attending physicians supported by a total of 24 diagnostic radiology residents in a four-year diagnostic radiology program. The Department of Radiology also offers a school in radiography. The UT Graduate School of Medicine four-year diagnostic radiology residency program accepts six PGY-2 residents per year. The Transitional Year Residency Program at UTGSM has four dedicated PGY-1 TY resident positions available to accepted diagnostic radiology residents interested in completing all five years of residency in Knoxville at UTGSM. One resident position is planned to become a dedicated six-year Interventional Radiology Residency, which will include a surgical intern year in partnership with the Department of Surgery at UTGSM. 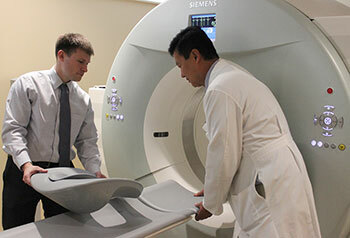 The radiology residency program is structured to introduce each subdivision of radiology, with specific rotations in services dedicated to body, chest, musculoskeletal, and neuro-imaging, nuclear medicine, fluoroscopy, mammography, emergency medicine, and interventional radiology, along with pediatric rotations at Vanderbilt University Medical Center in partnership with the Monroe Carell Jr. Children's Hospital in Nashville. Basic understanding of individual techniques is emphasized, followed by hands-on experience designed to allow the resident increasingly greater responsibilities as the training program progresses. The Department of Radiology's equipment is housed in a 43,000-square-foot facility. The department employs approximately 150 technical and support personnel. 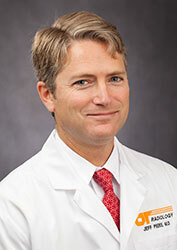 University Health System Incorporated, works with the University of Tennessee Graduate School of Medicine to create The University of Tennessee Medical Center. Approximately 250,000 exams are performed each year with a regional population base approaching 1.5 million. 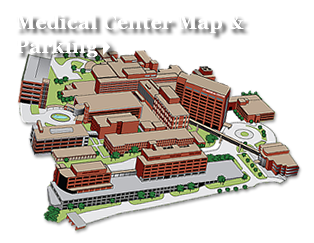 The University of Tennessee Medical Center is a regional tertiary referral academic medical center with busy trauma, surgical, oncologic, medical, pediatric and obstetrical services. Jeffrey Peeke, MD, Assistant Professor, serves as the Interim Chair of the Department of Radiology. Dr. Peeke went to medical school at Loma Linda University School of Medicine. In 2002, he completed his Transitional Year Residency at UTGSM and completed his Diagnostic Radiology Residency at UTGSM in 2006. In 2007, he graduated from the Cardiothoracic Imaging Fellowship at University of Maryland Medical System in Baltimore before returning here to practice and teach.